This easy recipe makes for a great summer lunch. 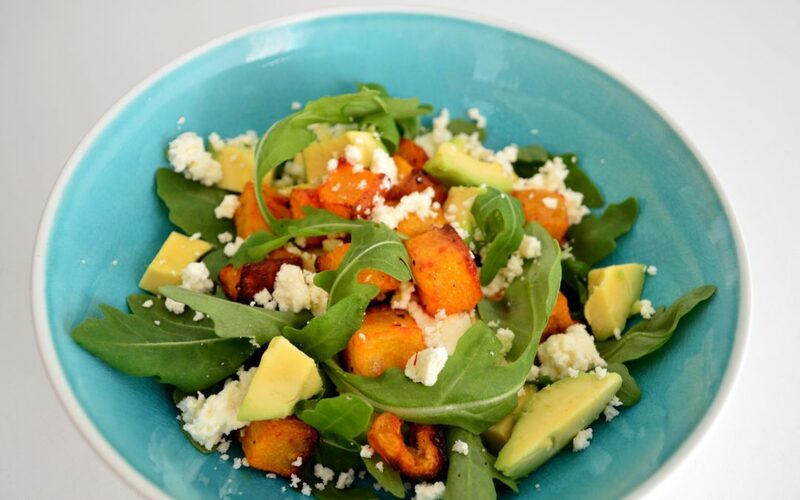 Roast butternut squash, marinated in Chilli Pepper Pete’s Sweet Chilli Sauce for a gorgeous combination of sweet and spicy, is mixed with creamy avocado, salty feta and fresh salad leaves, for a healthy dish that’s still packed with flavour. 1. Preheat the oven to 200˚C (180˚C fan). 2. Mix together the Chilli Pepper Pete’s Sweet Chilli Sauce, olive oil, salt and pepper. Cut the butternut squash into bite-sized pieces, then pour the marinade over the top and give it all a good stir. Tip into a roasting tin, spread the squash out in a single layer, and place in the preheated oven for 40 minutes. 3. Peel the avocado and remove the stone, then cut the flesh into chunks. Prepare two bowls with a good handful of salad, and scatter the avocado on top. 4. When the timer goes for the squash, divide it between the two bowls and then finish off with a generous crumbling of feta on each one. Add an extra dollop of Chilli Pepper Pete’s Sweet Chilli Sauce if you like things really fiery.